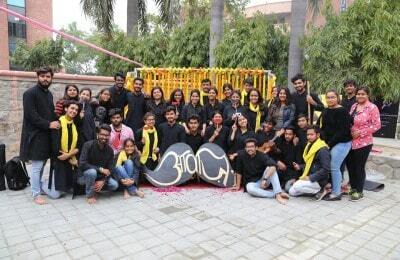 Asia’s largest cultural festival became an exhilarating chapter at end of the year for students from Delhi University and other universities across the country. This edition of Mood Indigo, IIT Bombay attracted hefty number of more than 126000 students from over 1800 colleges across India. With a Limca record for the maximum number of international artists at a cultural festival, Mood Indigo this year featured Epica, a symphonic metal band from The Netherlands. The festival also witnessed Sander van Doorn, an international DJ for EDM night on Day 1. Indian artist line up included Vishal & Shekhar and Adnan Sami along with famous authors like Neelesh Misra and Amish Tripathi for Litfest segment and prominent chefs like Vikas Khanna for the food festival. Here is a list of all the personalities who visited IIT Bombay for Mood Indigo this year. Amish Tripathi, author of Shiva Trilogy addressed a group of aspiring writers and a few members of teaching faculty from IIT Bombay on 26th December 2014. As a speaker for the LitFest, he talked about his journey as a management graduate and then a writer. Dispensing his thoughts about character building as a writer, he stressed on creativity instead of organized and surrendered art. Tripathi also sermonized the crowd with information about Indian mythology and how India is a land where liberalism and religionism go hand in hand. The author also revealed the possibilities of his book to be a Karan Johan movie soon. Mood Indigo danced to the Electronic Dance Music on Day 1 of the festival. Sahil Sharma a.k.a Zaeden performed the opening act for EDM night. The 18 year old DJ transformed the calm competitors at IIT Bombay to exuberant youngsters. Sander van Doorn, the main artist for the night played the best tracks of electronic music for about two hours. SVD is a Dutch EDM producer and DJ. The physical set at IIT campus for EDM night complemented the Indian and international artist line up in an extraordinary manner. The headbanging crowd at EDM night very well paralleled the enthusiasm of both SVD and Zaeden. Neelesh Misra, venerable author and Bollywood lyricist visited IIT Campus on 26th December 2014 as part of the LitFest. Neelesh addressed the audience as he talked about enthusiasm of writers and authors in the present age. The storyteller briefed everyone about his new rural newspaper called Gaon Connection and expressed his inability to accept all applications by new writers. His session was followed by a Q&A round where he shared how lyrics of Bollywood songs today are different from those in early 2000s. The Pakistani origin singer performed on Day 2 of Mood Indigo. Adnan Sani wooed his fans with the exclusive musical delight. He sang his famous numbers like Sun Zara, Dil Keh Raha, Kabhi toh Nazar Milao and Lift Kara De. Apart from this musical gratification, the singer was also indulging in jugalbandi with his esteemed band. Adnan also amidst his performances shared with the crowd his experience of losing 145 kgs in a few months. Senior journalist, Rajdeep Sardesai spoke on “Corporatisation, Politicisation and Sensationalisation of News” for the LitFest. He emphasized on responsible online media reporting and talked about importance of independence of media in our country. The session was followed by a Q&A round, where Rajdeep also added that the world is headed towards digitisation of media. He also threw light on revenue system of media agencies. Epica, the symphonic metal band visited India for the first time for Mood Indigo at IIT Bombay. Epica’s performance featured an opening act by SLAIN which is reputed as country’s finest group of live acts in Melodic Progressive Rock/Metal. Epica’s songs revolved largely around topics like philosophy, science, religion and world events. The group was witnessed employing human choirs and orchestras with additional embellishments such as spoken word recitals and lyrics in Latin and Arabic. Epica was the only paid concert at Mood Indigo. The Bollywood music-directing duo of Vishal Dadlani and Shekhar Ravjiani performed the closing act at Mood Indigo 2014. Right after the closing-award ceremony, Vishal-Shekhar entered the performance arena pumping energy into the crowd of more than 7000 people. The pair performed to the popular Bollywood numbers from composed albums like Student of the Year, Bang Bang, Om Shanti Om and Jhankar Beats. Open Air Theatre, IIT Bombay recorded exultant crowd singing along as both the singers individually also sang for them. Shekhar played the keyboard as he set the record on romantic mode by singing Zehnaseeb and Ishq Waala Love. Vishal Dadlani then enlivened the tranquil audience by performing Madaari, Aao Na and Jee Le Zara among many more. “It’s not the political position a person holds that matters, it’s the influence he has on the people”, said former cabinet minister and BJP leader, Dr. Subramanian Swami who quoted the line by Shri. Mahatma Gandhi. Part of the Mood Indigo LitFest, he guided a group of students on how to become better and responsible citizens of the country. Realizing the need of young brains in the political system, he encouraged more and more students to enter the Indian politics and advised them to look into the intricacies of politics in our country. Emphasizing the need of innovation that fuels growth of the nation, Dr. Swami talked about innovational intelligence as well. Apart from the personalities visiting the campus for literature fest and popular nights, there were many others who enthralled the 126000 visitors by their special appearances. For the Humour Fest, Mood Indigo witnessed Carlo Jacucci, Marcel Mohab and Korean artisits for the Jump Show performing on different days. 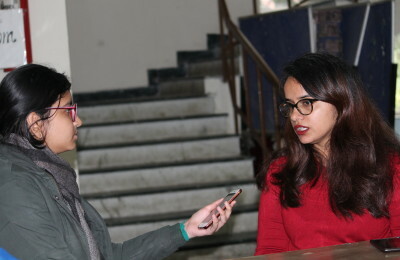 Stand­up comedians of the viral Youtube series “Pretentious Movie Reviews” fame, Kanan Gill and Biswa Kalyan Rath were also seen performing on the campus. Raju Srivastava performed at the Comedy Show. Ayushmann Khuranna came to judge Mr and Ms. Mood Indigo contest and to promote his movie ‘Hawaizaade’. Food Fest featured Chef Vikas Khanna who released his book ‘World Feast’ among other prominent chefs like Chef Ajay Chopra, Chef Varun Inamdar, Chef Dhaval Ajmera and Chef Sandeep Pande. Pt. Rupak Kulkarni visited for Mood Indigo Classical Morning. Apart from Adnan Sami, the category of Contemporary Nite featured Purbayan Chatterjee who is popular for amalgamating traditional Indian classical music with contemporary world music genres. The International Music Festival had artists like The Los Dorados, Barmer Boys and indierock band Amsterdams from Romania. U-Theatre group from Taiwan performed their act called ‘Swords of Wisdom’, martial arts act to the beat of percussion instruments. The FringeFest saw Yoshi and Gilard Shabtay entertaining the onlookers by juggling capabilities and surreal balancing acts respectively.